April | 2015 | Enough of this Tomfoolery! Apart from the famous Iveagh Bequest, Kenwood House is also home to another superb collection of portraits, mostly of courtiers from the seventeenth century, Stuart monarchs and ladies of their court and members of the Howard family who have borne the titles Earl and Countess of Suffolk since 1603. This group of paintings known as the Suffolk Collection was given to the nation by Margaret “Daisy” Leiter Howard, widow of the 19th Earl of Suffolk under the terms of her will in 1974 and were moved to Kenwood in 2001. Today they provide a fascinating glimpse into what clothes people wore especially during the early 17th century; as very few real examples survive, these portraits serve as a visual record of the fashions of the time and what they looked like when worn. 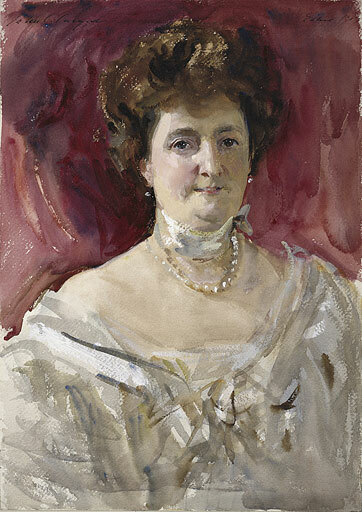 Among the other portraits is one of the 19th Countess herself, painted by the celebrated portrait painter of the fin de siècle, John Singer Sargent. It was commissioned by her parents and painted in 1898. The portrait has all the hallmarks of Sargent’s commissioned portraiture, such as the ethereal way he painted the women’s dresses, the absence of any distinct background that would detract from the subject and the paleness of the skin which is typical of his female portraiture. Dressed in a white and gold gown with the gold fabric billowing around her left arm, the future 19th Countess of Suffolk is every inch the personable young heiress and having her portrait painted by someone as feted as Sargent was a sign of the Leiter family’s wealth and growing status. Daisy Leiter was one of the last wave of American women who married into the British peerage before the First World War, and even before her marriage to the Earl of Suffolk in 1904 was already connected to the aristocracy through marriage, as her older sister Mary had married George Curzon in 1895. Three years later he was raised to the peerage as Baron Curzon of Kedleston and appointed Viceroy of India. It was while visiting her sister in India that Daisy met Henry Molyneux Paget Howard, 19th Earl of Suffolk and a career army officer who was serving as an aide-de-camp to her brother-in-law. The press in both countries noted that Daisy’s wedding dowry would provide a much needed injection into the Suffolk estates and help restore Charlton Park to its former splendour. By the time of the Leiter-Howard marriage, there had been several trans-Atlantic unions, with the first wave taking place in the 1870s when the likes of Jennie Jerome, Consuelo Yznaga and Minnie Stevens married into the British aristocracy and found themselves hobnobbing at the highest circles of society. It reached its height during the 1880s and 1890s, with the most famous marriages between that of Consuelo Vanderbilt and the 9th Duke of Marlborough and May Goelet to the 8th Duke of Roxburghe taking place. One common theme running among majority of these trans-Atlantic alliances were what were popularly known as “cash for coronets” – young women from American nouveaux riches families marrying impoverished British aristocrats, a straightforward exchange between money and status. While some marriages were borne out of love matches such as the Jerome sisters and their respective husbands others were simply blatant business transactions; with some ending in the ultimate disgrace of divorce and lawsuits involving money and property. To understand why such marriages took place, it is important to look at the circumstances that led to this mutually beneficial yet uneasy alliance between two worlds, two cultures and two very different outlooks. At the risk of using modern day geopolitical terms into this blog, in my view trans-Atlantic marriages can be seen as both a “clash of civilisations” (pace Samuel Huntington*) and as akin to a trading bloc – one has what the other wants and vice versa and they come together for the benefit of both sides. This clash came to a head as the social climbing newcomers tried to enter society and found its doors firmly shut. To the old guard such as the New York Knickerbockers, Boston Brahmins or the Philadelphia Main Line these new money families were a threat, they did not possess the qualities that were believed to be the hallmarks of membership – long standing ties to the city, respectability, philanthropy and frugality. If anything the old families were appalled by the conspicuous consumption displayed by the nouveau riche with their grandiose houses, their yachts and so-called summer cottages in Newport. The New York Four Hundred which supplanted the Knickerbockers was an attempt in some way to control the influx of these new rich families into the ranks of Society; with its leading members (most notably Mrs Astor) acting as arbiters of who could join or not. Those who could not secure entry into this circle turned to Europe – most notably Britain – for the status they craved. Over in Britain, the aristocracy after being at the pinnacle of the social, political and economic pyramid for centuries found themselves slowly being challenged by twin assaults from the middle class with their wealth derived from other sources and the agricultural depression which began to seriously undermine the main source of aristocratic wealth. Politically they were also in decline; despite peers still occupying ministerial positions and having the power of veto in the House of Lords, by the dawn of the twentieth century they were fast becoming a spent force culminating with the removal of their power of veto over legislation in by the 1911 Parliament Act. Keen to preserve what they could of their estates despite selling land and chattels, the aristocracy resorted to what they had done in the past – marrying for money. There were so few home grown heiresses – the richest of them was already off the marriage market in 1878 (Hannah Rothschild who married Archibald Primrose, 5th Earl of Rosebery), – so impoverished peers were forced to look across the Atlantic to seek potential wives. 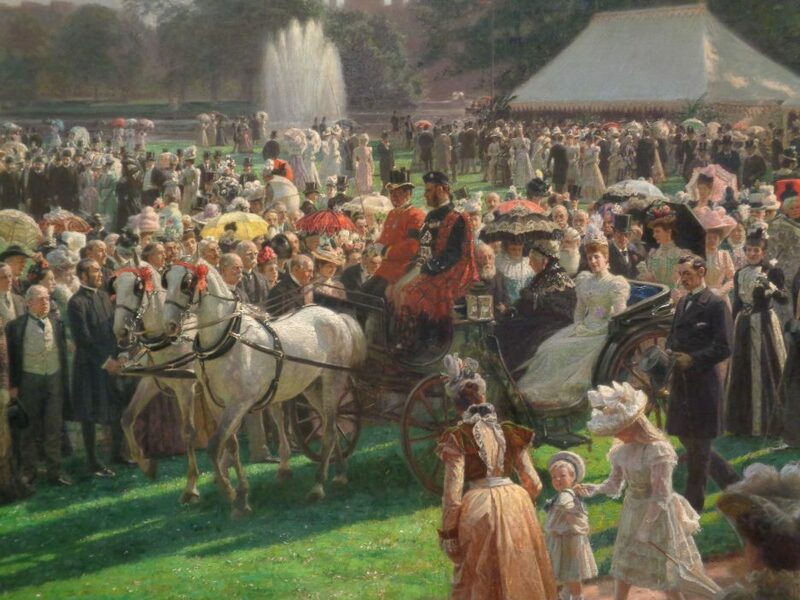 As mentioned earlier, those who were shunned by society in America headed to Europe where initially they found a more open and receptive society in Paris under the Emperor Napoleon III and his wife Empress Eugenie. Under the Second Empire, building projects were undertaken in Paris, transforming it into the city that we know today as well as encouraging entrepreneurship and investment in technology and industry. Paris also retained and enhanced its reputation for being the centre of arts, culture and fashion. Napoleon was drawn to self-made men and beautiful women and his court welcomed entrepreneurs and Americans, giving them the social recognition that would have been difficult to obtain in the past. The Jerome family were one of the early American families who were able to achieve the social success they desired in Paris that was denied to them in New York. The Franco-Prussian War diverted the social traffic of Americans from Paris to London and although Paris regained its status as a cultural and fashion mecca during the Third Republic, the American plutocrats and parvenus began to increasingly prefer London – whose society (despite being ostensibly class obsessed and seemingly rigid) was easier to penetrate, was more receptive to wealth (despite claims to despise entrepreneurs and commerce) and above all was eager to marry their daughters. They also picked up quickly on the fact that among noble titles, British ones were the most desirable of all. 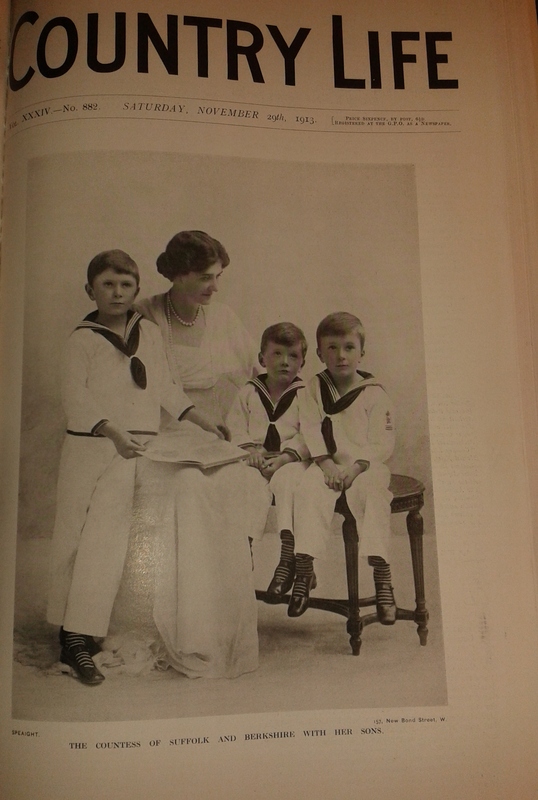 Because of the principle of primogeniture, the title only passed to the oldest son or the nearest male relation which gave British aristocratic titles their exclusivity precisely because there were fewer than say French, Italian or German ones. Not to mention that even marrying a younger son was also a catch, not just for the family connections but if he had distinguished himself he could be raised to the peerage or baronetage and together with his wife, create a new dynasty thereby cementing their social status. It was in the middle of the 1870s when the first wave of trans-Atlantic marriages took place; Lord Randolph Churchill and Jennie Jerome, Consuelo Yznaga to William Montagu 8th Duke of Manchester, Lillian Hammersley to the 8th Duke of Marlborough (it was a second marriage for both) and Minnie Stevens to Mr (later Sir) Arthur Paget. Jennie Churchill, Consuelo Manchester and Minnie Paget became social successes and could boast of close connections with the Marlborough House set; the latter two women would use their connections to great effect during the second wave of trans-Atlantic marriages. As more trans-Atlantic marriages followed, there was growing unease over them on both sides of the Atlantic. The British were concerned over the number of American born peeresses; there was sneering over their backgrounds and many people took the view that anything and everything American was brash and vulgar. In addition, the influx of Americans into British society coincided with the opening up of the aristocracy and society. Historians have observed that the aristocracy’s reaction to the growing change in their circumstances and the anxieties that went with it were projected on to the social climbers whether home grown or foreign. The home grown arrivistes could be assimilated into the aristocracy and in time be part of the elite but the Americans were foreign and were seen as a threat, a challenge to the British way of life, therefore, their women could only be tolerated as wives of British peers. Trans-Atlantic marriages were viewed with growing antipathy in America as well. Initially the marriages were viewed in some circles with pride, demonstrating social acceptance and how American women could hold their own against their European counterparts. Newspaper coverage of the weddings could be gushing, with special attention paid to the American bride’s beauty and the splendour of her trousseau. But as several of these marriages unravelled with some ending acrimoniously through the divorce courts or in lawsuits over money and property; the American press and public turned against them. Attitudes became more cynical and such unions were denounced as “unpatriotic” and a “betrayal” of American values and the principles on which the United States was founded. It reached a point when trans-Atlantic marriages became so common that the press began to report home grown marriages as a novelty, seen more as a match between equals and one made out of love rather than a business transaction. The apogee of the trans-Atlantic marriage phenomenon was the 1895 wedding of Consuelo Vanderbilt, daughter of the railroad magnate William K. Vanderbilt, and Charles “Sunny” Spencer-Churchill, 9th Duke of Marlborough. The circumstances of their marriage and the events leading to their acrimonious separation and final divorce have been documented in contemporary news reports, magazine articles, books and documentaries. It was clear from the onset that this was a “marriage of convenience” (in Consuelo’s own words) and not even the American press were fooled; in the run up to the wedding, several newspapers published satirical cartoons poking fun at the mercenary nature of the marriage. 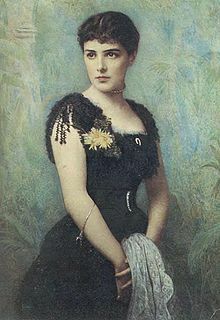 Consuelo’s mother, Alva Smith Vanderbilt, had been so incensed by the snubs accorded to her and the rest of the family by the New York Four Hundred that she planned her assault on that society through lavish building projects (such as persuading William K to build Marble House, which became their summer home in Newport), entertaining and marrying her only daughter off to an aristocrat. 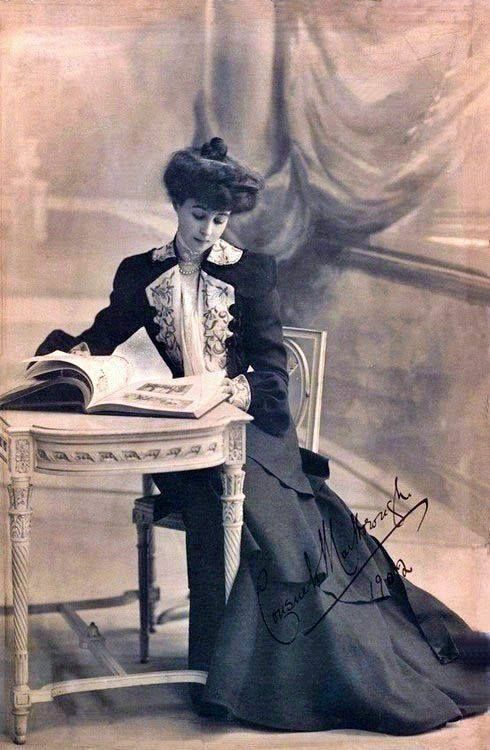 Alva Vanderbilt was no different from the other pushy social upstart mothers wanting status through their daughters marrying into the British aristocracy. Like these mothers, Alva declared that a Continental nobleman was not good enough for her daughter and going further than her fellow Americans, also stipulated that Consuelo should marry a duke. By coincidence, the impoverished 9th Duke of Marlborough was in search of a rich woman to save the Blenheim estates. After a lengthy negotiations concerning the dowry and Consuelo’s own financial arrangements as well as threats from Alva, the pair were duly married and left America to begin their married life in the forbidding environment of Blenheim Palace. Looking at the marriages whether successful or unsuccessful, both parties did benefit – the American heiress was able to gain a title and status as well as purpose in life while the British aristocrat obtained the money needed to keep the estate going and an heir. 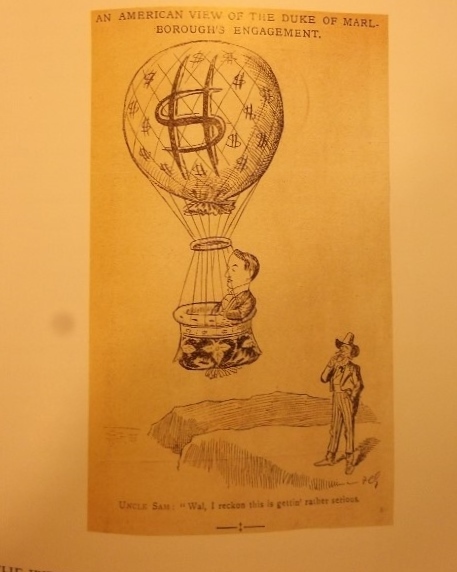 The British aristocrat wasn’t a fortune hunter; he had the status and the property but not the money to keep it solvent and so quite naturally he went in search of what was missing. By 1910, trans-Atlantic marriages were losing their novelty as the supply of heiresses was thinning and despite the money, the economic decline of the aristocracy could not effectively be arrested. Even the top ranks of the peerage were selling off property and works of art, and the tone set by the new King, George V with his insularity and xenophobic suspicion of anything not British (including the Empire) meant that American born peeresses were pushed to the margins of high society; while in the United States, the emerging self-confidence due to the acquisition of colonial possessions from Spain and the growing clout in world affairs after the First World War made Americans realise that they did not need coronets and titles for social validation. The great era of trans-Atlantic marriages was well and truly over. * Samuel Huntington (1927-2008) is an American political scientist best known for developing the “clash of civilisastions”, a thesis of a post-Cold War world order. His ideas were first published in the journal Foreign Affairs in 1993 then were later expanded into a book entitled The Clash of Civilisations and the Remaking of the World Order (1996). His ideas were developed as a reaction to the ideas of a former student, Francis Fukuyama outlined in The End of History and the Last Man (1990). While Fukuyama argued that the end of the Cold War had resulted into the triumph of liberal democracy, human rights and the free market economy leading to the “end of history” in a Hegelian sense, Huntington believed that while the age of ideology had ended, the world had only reverted to the state where conflict would be along cultural lines with his main argument that this conflict would be characterised by cultural and religious fault lines. The phrase “clash of civilisations” itself was already used back in 1990 by Bernard Lewis in an article for the Atlantic Monthly and still earlier by Basil Mathews in a 1926 book entitled Young Islam on Trek: A Study in the Clash of Civilizations. Photographs taken from various sources such as Wikipedia and hoop-skirts-and-corsets.tumblr.com. 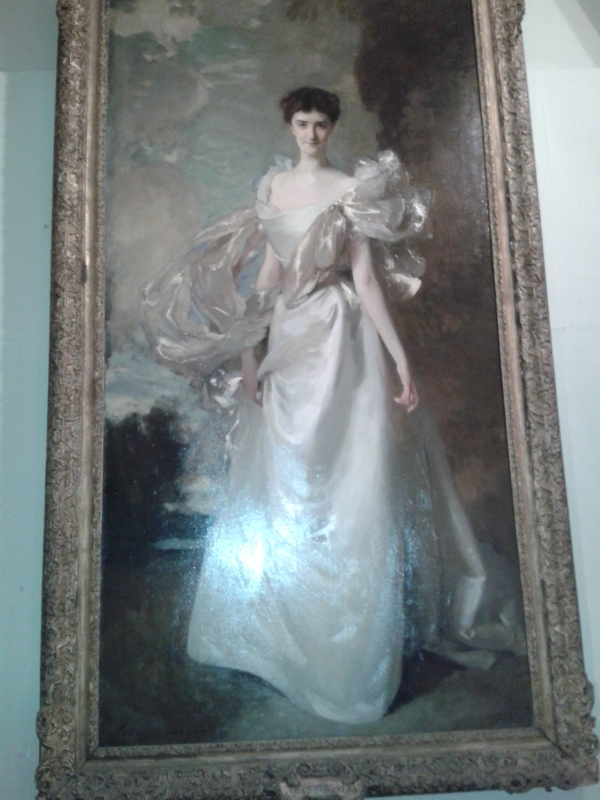 Photo of the portrait of the 19th countess was taken by author during a visit to Kenwood.